Click here for more details & to RSVP! 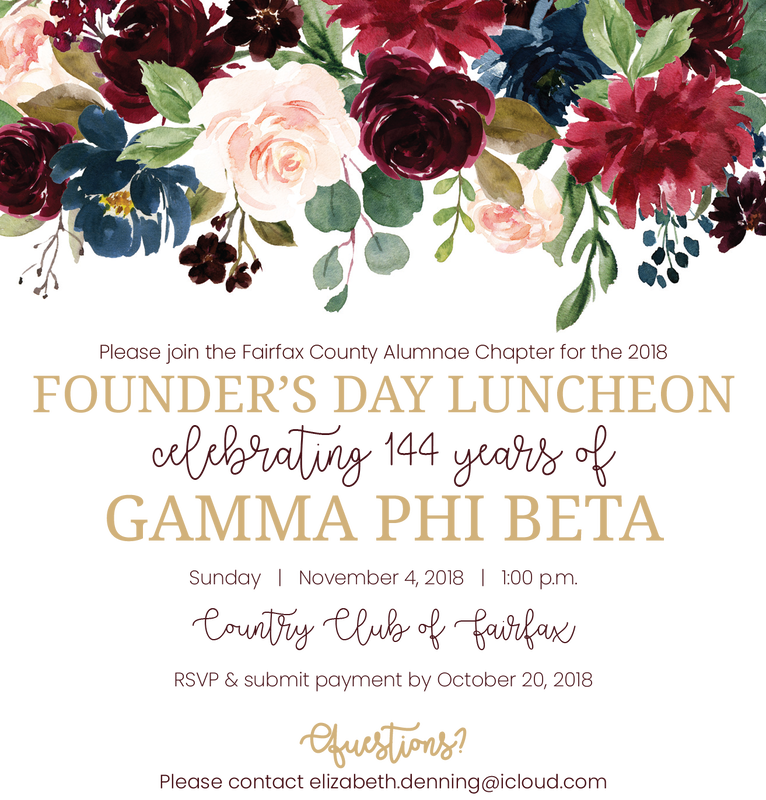 Estee is one of the charter members of the Fairfax County Alumnae Chapter and was initiated into Gamma Phi Beta at Epsilon Pi Chapter (George Mason University) in 1992. She was drawn to Gamma Phi Beta’s ideals and missions as a potential new member and the sisters of Epsilon Pi made her feel right at home. She valued the high ideals of womanhood and the strong support from the alumnae during her time as a collegian at GMU. Estee is currently the President of the South Riding Board of Directors and is involved in local politics in Loudoun County. She is also a very busy mom of two teenage boys and is involved with their high school and sports programs. Estee has also worked as a Senior Policy Analyst in state and local government for Trade Associations. As an alumnae member, Estee has also served in many different capacities in service to the sorority. She has served as President of the Northern Virginia Alumnae Chapter, Panhellenic Representative, Convention Committee Member, and supported the Epsilon Pi Chapter in numerous recruitment events over the years. Gamma Phi Beta is a very important part of her life and she has shown her love for the sorority through volunteering and serving others. Although her life has become very busy in raising her sons to be good men, she continues to support the sorority by promoting the highest form of womanhood and supporting other women to reach their highest potentials. Thank you Estee for all that you have done and continue to do for Gamma Phi Beta! ​Avery is one of the newest members of the Fairfax County Alumnae Chapter. She was initiated in November 2017 at George Mason University, Epsilon Pi Chapter. Avery is the Resident Director at George Mason University and is also the advisor for Mason’s chapter of Beta Theta Pi. Avery is excited to be a member of Gamma Phi Beta and create positive relationships and friendships within the sisterhood. She is looking forward to connecting with other women who share her values and making special connections to the sorority through our rituals and traditions. She is excited to attend social events and is even planning on attending Convention in Dallas (her hometown)! She has also expressed interest in becoming a chapter advisor for Gamma Phi Beta. She has even more excitement coming down the line as she plans for her wedding in June! We are so excited to welcome Avery into our sisterhood. Since her initiation in November, she has hit the ground running, becoming as involved as she can with alumnae life. Avery has such a kind spirit and a sweet soul, and we are glad that she chose Gamma Phi Beta as her home. We hope you have a chance to welcome Avery into the sisterhood and get to know her better!